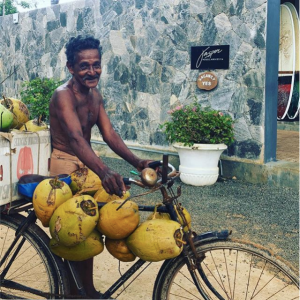 LIVE YOUR BEST LIFE YOGA & SURF IN SRI LANKA! 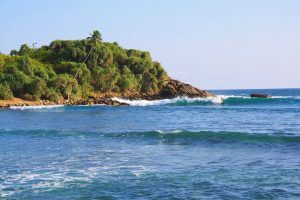 "Over the past couple of years, hipsters, yogis and surfers looking for a quieter and more authentic alternative to the overblown beaches of Unawatuna and Mirissa have sought Hiri’s still-rustic charm, picture-postcard setting and gentle surf, though this hasn’t yet tipped the balance." Live Your Best Life in Sri Lanka for 7 days of luxury boutique beachfront yoga surfer vibes! Big Love from the GYL Dream Team! It’s your time to rejuvenate and energise your body and mind, give surfing a go, meet wonderful new people, improve your yoga practice, feel inspired, reset and recharge, laugh lots and experience the Good Yoga Life here on this magical island of SRI LANKA!!! 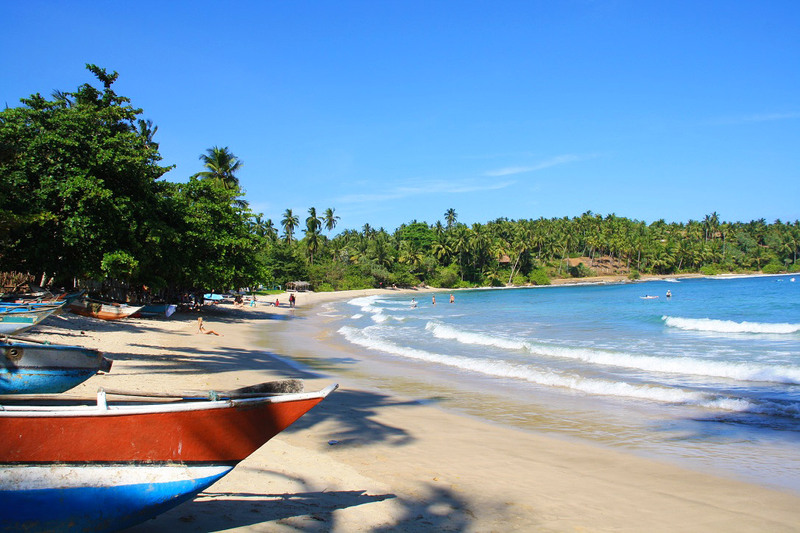 You’ll experience the pristine beauty of nature surrounded by leafy coconut palms and far-reaching ocean views. 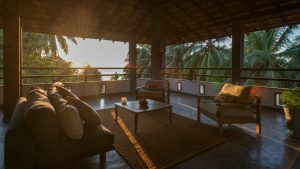 Our eco-luxury Sri Lankan home offers the perfect blend of quiet seclusion and the buzz of beach cafes lining the palm fringed shore at vibrant but super chilled Hiriketiya Bay a short walk away. 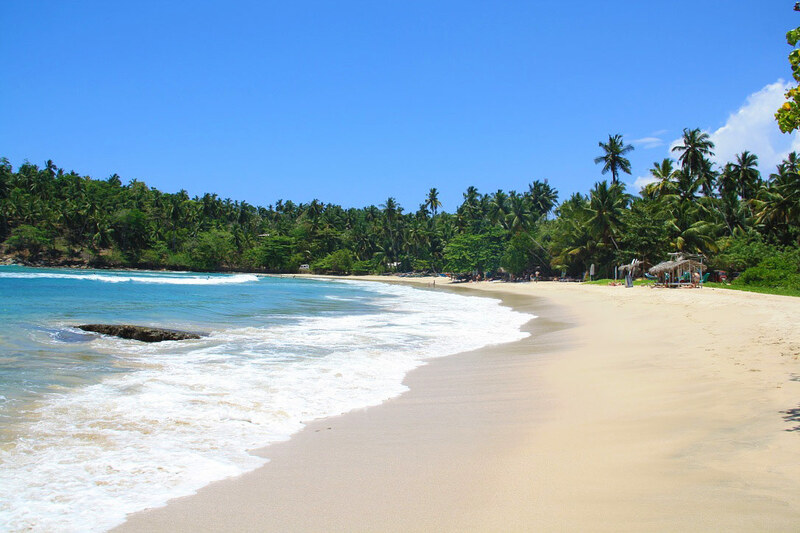 Voted one of the top 10 best winter sun destinations for 2018 by The Guardian, Hiri is a surfer's paradise where you can swim with turtles in the crystalline waters of the bay and surf in the beautiful waves suitable for all levels. Enjoy yoga in our private poolside shala looking out to monkeys swinging between the coconut palms and chipmunks scurrying mischievously along the branches. This is yoga amongst nature with the sounds of the ocean and tropical, native birds…the perfect way to connect with the beauty of life, ground yourself and really feel like you’ve arrived in paradise! 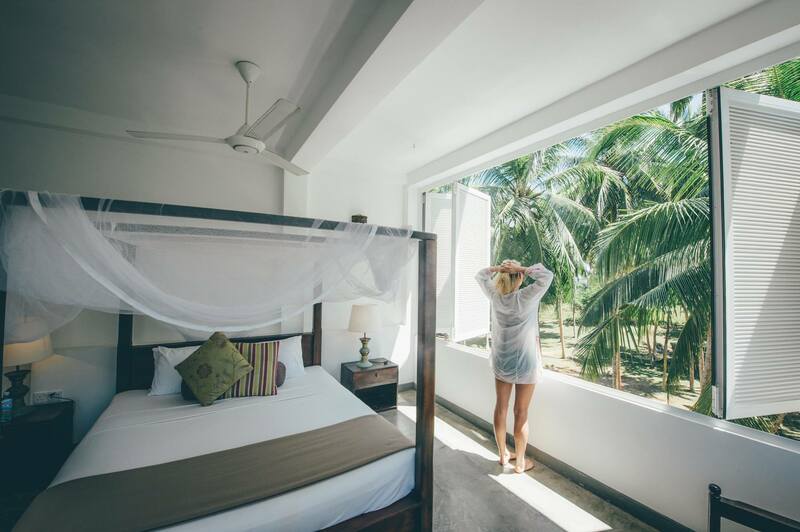 You can go for a dip in the freshwater lap pool, check out the view from your eco-luxe bedroom, or head to to the beautiful Hiriketiya Bay for a swim and surf. At night we can stroll down to the beach for stunning sunsets, live music, cocktails and chats under the stars. Our villa features a huge open-air al fresco top floor dining space and lounge with 360 views across the bay and ocean - a real highlight of our Sri Lankan home, giving us the perfect spot to watch the many stunning sunsets we’ll enjoy together! Spacious rooms feature balconies and open-air showers, letting you connect with nature and the beautiful landscape. 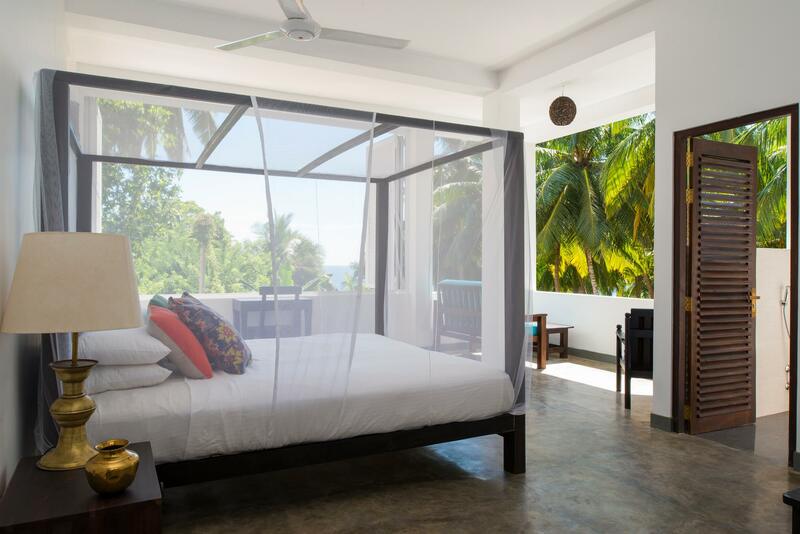 You'll wake to the sound of cheeky monkeys and exotic birds...this really is paradise! The rooms are designed with an open concept with large windows, open-air ensuite bathrooms and views of the ocean and coconut groves. Your space has been tastefully furnished with polished concrete floors for a cooling effect and local antiques and art deco features. The outdoor freshwater pool is surrounded by plants and comfy sun loungers and home to our large breezy yoga shala. Your experienced team of teachers can’t wait to teach you everything they know and love on the mat! Our daily yoga classes will take place in the morning and late afternoon. We’ll start our day with an energising vinyasa class, moving in time with the breath, and strengthening and stretching every part of the body. The afternoon sessions will be a mixture of restorative flows and workshops to go a little deeper. You’ll float out of these sessions feeling inspired, relaxed and renewed. After 12 yoga classes with us, you’ll leave with a greater understanding of yoga, meditation and breathing techniques that will help you to keep your yoga glow and zen vibe flowing. Learning to surf on a tropical island is almost a rite of passage and during your stay, you'll have two coached surf lessons to improve your skills, confidence and independence in the waves - whilst having loads and loads of fun! The horseshoe bay of Hiri has waves for both beginners and the more advanced, so if this is going to be your first time on a surf board, you can feel relaxed knowing that there is a wave for you with your name on! The crystal clear, WARM waters will invite you in and we promise that after your lessons, you'll be heading back into the surf for more. Indulge in a real Sri Lankan food experience from the tastefully yet rustically furnished rooftop dining room. 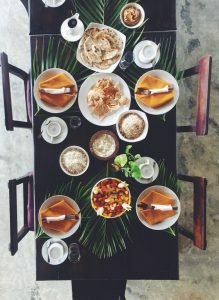 Our private chefs will treat us to extensive brunches of fresh fruit, continental and local cooked options with fresh juices available throughout the day and Sri Lankan cuisine in the evenings. 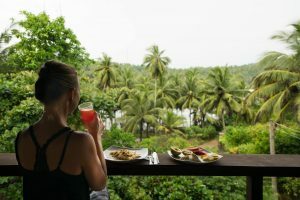 Think...egg hoppers and dhal for breakfast, coconut sambol, kottu roti, beetroot salads, the best Sri Lankan curries and tropical fruits, our mouths are going to rejoice with happiness. Experience Sri Lankan food at its best! Free time to walk to secluded coves, swim, chill, read, sunbathe, journal, massages and treatments or whatever you desire! Whale Watching Trip to Mirissa! Flights are not included. 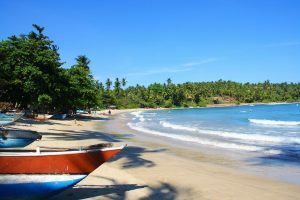 Fly with Emirates from London to Colombo for less than £500 return! We can organise transfers for you to the villa once we have your flight and travel details. Prices are based on sharing a twin or double occupancy room (come with your partners, besties or make new friends with your roomies!). Sharing with fellow yogis is the best way to get fully immersed into the Good Yoga Life retreat experience! 1. On this Billetto page, you will fill in your personal details and select the room option ONLY. You will not make the payment here. 2. Click on GET TICKETS and select your room option. You must book your own place. If you are coming with a friend, please ask them to go through this process to book their own place on the retreat. You will NOT pay for your space through Billetto. 3. Please email kelly@goodyogalife.com to confirm your selection and booking and to receive details for payment. 4. Kelly will email the payment details to you. To secure your booking, please pay a £200 non-refundable deposit or the full amount within 12 hours of bookings. Payment plans are available. We want to make our yoga retreats accessible to as many people as possible and are open to setting up a payment plan in certain situations.